20th November 2017 – Extreme Live Gaming has announced the launch of Reel King Roulette. 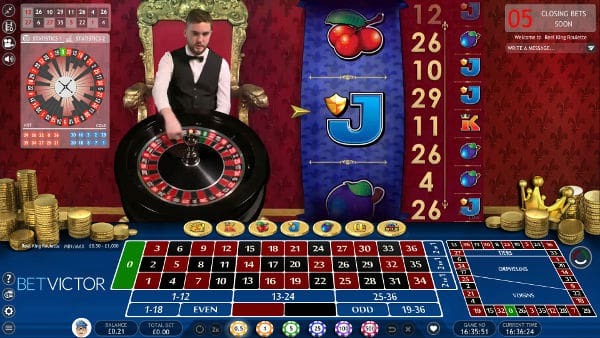 It normal European Roulette but with the addition of a branded Side Bet, similar to the already existing Dolphins Roulette, Sizzling Hot Roulette and Lucky Lady Roulette. 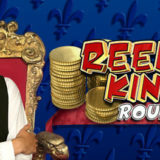 Reel King Roulette is branded with images from the Novomatic Reel King. Casino’s carrying the slot also have the opportunity to integrate the slot into the Roulette playing Interface as a mini game. This can be played alongside the man Roulette game and the side bet. At the moment I’ve not be able to find any casinos that have taken up that option. The Side Bet can pay up to 80x your Bet. It runs alongside the main game and the result is picked by a RNG (Randon Number Generator) computer. You can play it either on it’s own or alongside the main game round. I’m a fan of Extreme Live Gaming and their games and I think their Live Roulette side bets add another dimension to the game. However the way the side bet results are announced are not consistent after every spin. Sometimes the wheel will stop when the roulette game result is announced. At other times the wheel may spin on two or three more symbols before your know the result. I don’t really care which it is, as long as it’s consistent every time. It just feels odd and leads you to believe there may be something fishy going on, when in fact there isn’t. Hopefully Extreme will see this feedback and look into it. Check out my video review to see what I mean. You can play at Bet Victor and Leo Vegas.